Are compounds words or phrases - or are they neither or both? How should we classify compounds? How can we deal with the fact that the relationship between the elements of sugar pill ('pill made of sugar') is different from that in sea-sickness pill ('pill to prevent sea-sickness')? 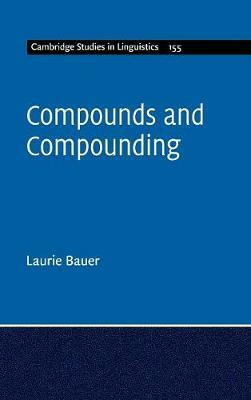 Are compounds a linguistic universal? How much do languages vary in the way their compounds work? Why do we need compounds, when there are other ways of creating the same meanings? Are so-called neoclassical compounds like photograph really compounds? Based on more than forty years' research, this controversial new book sets out to answer these and many other questions.